Or how I came to use Power Scour to wash my dog, creating yet another reason why I love it so. You guys have heard of Unicorn’s blog entry contest right? If not get thee over there and check it out. 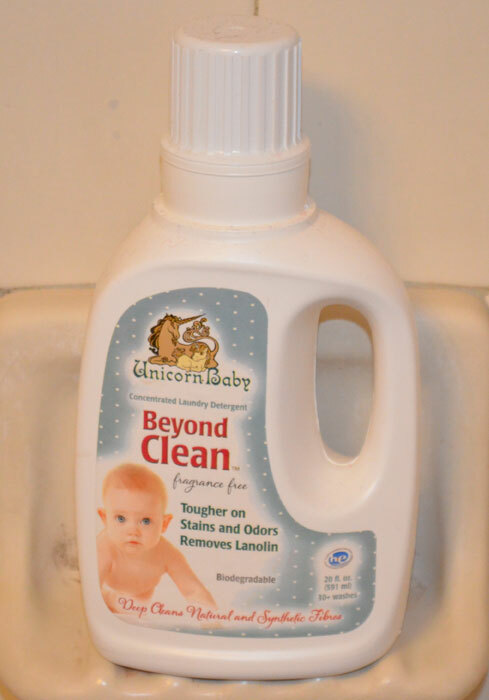 I am a fan of Unicorn Products – I carry them and I recommend them. For scouring wool, I find they work fantastically under the conditions almost all spinners have in their homes and they do so at what I have found is a lower cost than many of the usual alternatives. They clean the grease out of raw wool efficiently, condition the wool nicely, and treat my finished objects gently. I don’t need to boil extra water, and I can dump the water/scour/grease sludge on my vegetable gardens – and let me tell you, I had roses blooming under the bathroom window well into February one year when I was cleaning a whole lotta fleece in there! But the usage that sold me on them the most is bathing my dog. Seriously you say? Yup. Seriously. As anyone who follows the blog knows, we at The Spinning Loft are the servants of Shih Tzu Overlords. Well, Overlord now. But that’s hardly relevant: We. Live. To. Serve. Roughly 18 months ago we had to let go of my first shih tzu baby – Crackers, he was the best snuggler ever – and while he liked to steal your pillows, he was more than happy to take their place, assuming you’d cuddle him. But Crackers had some issues – among them a nasty case of acute seborrheic dermatitis. This condition is usually mild and causes flaky skin. But Crackers, being Crackers, had it far more than “mild”. Instead he would get red, itchy sores accompanied by globs and globs of grease, between his toes, at his shoulders, anywhere there was a joint or fold. Nothing we did could keep it at bay – the grease just came back too quickly. Finally I said, well, I want it give a shot. I figured if the product was nice enough to wool and easy enough on the environment, ‘chiengora’ on the paw as it were can’t be much different. I plopped him in a tub of warm water and Power Scour (actually one of the tubs I use to scour wool – he fit perfectly, felt safe, couldn’t slide around, and I could immerse him to the shoulders) just as I would raw fleece. Same ratio of scour to water but at a much lower temperature suitable for the dog. And it worked. His skin cleared, and the grease level came down. Slowly but surely we were able to stretch his baths from every week to every few weeks to every 6 or so and the prescription spray usage dropped to almost nothing. My vet was so impressed she asked what we were doing differently – new food? the meds finally taking? what? She was equally shocked. She now recommends Power Scour to other patients. Since Unicorn came out with the Baby line, I use that one for our remaining Overlord and Supervisor. It makes a huge difference in the allergy he has towards his medicine and reduces his itching as well. 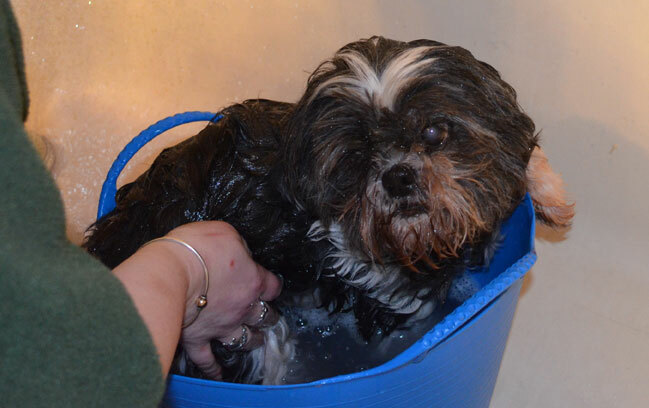 Max now likes to be bathed between grooming sessions, and he’s now a big fan of Power scour too. Do you all have great Unicorn stories? Share them! Previous post: It’s The Year of the Sheep! Next post: Year of the Sheep – Reloaded! Wow! What a fascinating discovery! I’ve recently switched to Power Scour for washing raw wool and absolutely LOVE it. I jus might have to place another order with them after hearing about it’s other uses and will make sure to pass this info along to my vet too.